How to blacklist patients from receiving SMS? Clinics allows you to disable SMS reminders for specific clinics. The SMS Restricted list is for blacklisting specific patients. 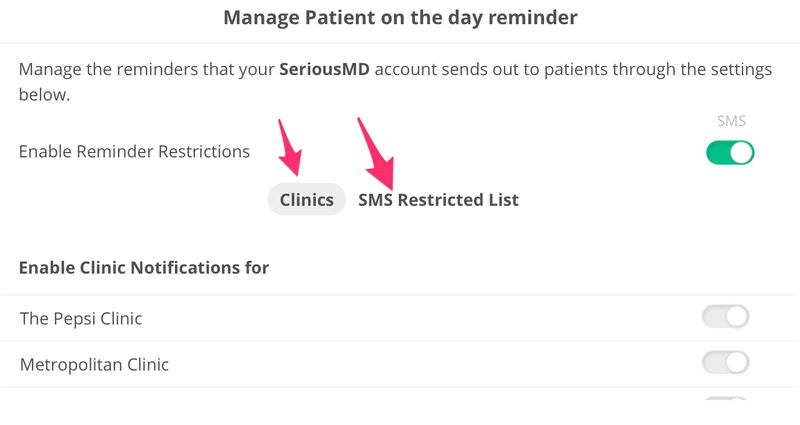 Click the + icon (image below) and add patients that you don't want to send SMS reminders to.